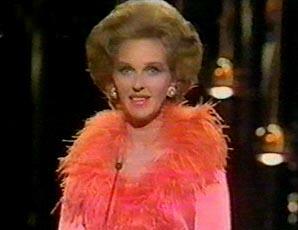 Television personality Katie Boyle was born Caterina Irene Maria Imperiali di Francavilla on this day in 1926 in Florence. The actress, who became known for her appearances on panel games such as What’s My Line?, and also for presenting the Eurovision Song Contest on the BBC, is celebrating her 90th birthday today. She was the daughter of an Italian Marquis, the Marchese Imperiali di Francavilla, and his English wife, Dorothy Kate Ramsden. At the age of 20, Caterina moved from Italy to the UK to begin a modelling career and she went on to appear in several 1950s films. In 1947 she had married Richard Bentinck Boyle, the ninth Earl of Shannon, and although the marriage was dissolved in 1955, she kept the surname, Boyle, throughout her career. Boyle was an on screen continuity announcer for the BBC in the 1950s and then became a television personality who regularly appeared on panel games and quiz programmes. She was the presenter of the 1960, 1963, 1968 and 1974 Eurovision Song Contests, impressing viewers with her range of European languages. Boyle has also worked in the theatre and on radio and has been an agony aunt for the TV Times. She was later married to Greville Baylis, a racehorse owner, who died in 1976, and Sir Peter Saunders, a theatre impresario, who died in 2002. 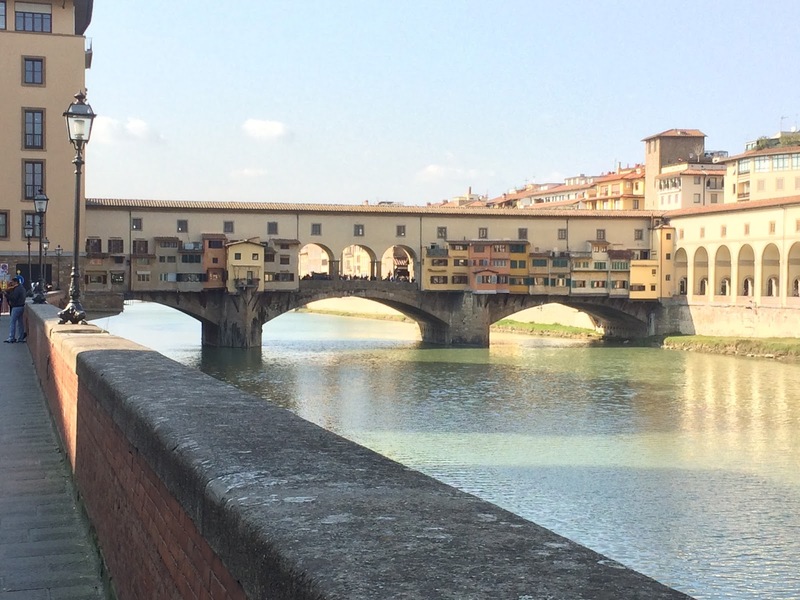 One of the most famous sights in Boyle’s birthplace of Florence is the Ponte Vecchio, built in 1345 and the oldest bridge remaining in the city. The medieval workshops inhabited by butchers and blacksmiths were eventually given to goldsmiths and are still inhabited by jewellers today. The private corridor over the shops was designed by the architect, Vasari, to link the Palazzo Vecchio to the Palazzo Pitti, via the Uffizi, allowing the ruling family, the Medici, to move about between their residences without having to walk through the streets. Work on the Uffizi in Florence began in 1560 to create a suite of offices (uffici) for the new administration of Cosimo I dè Medici. 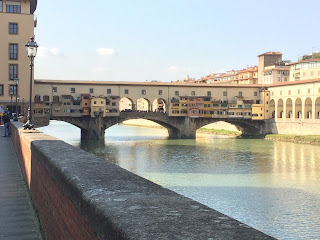 The architect, Vasari, created a wall of windows on the upper storey and from about 1580, the Medici began to use this well-lit space to display their art treasures, which was the start of one of the oldest and most famous art galleries in the world. The present day Uffizi Gallery, in Piazzale degli Uffizi, is open from 8.15 am to 6.50 pm from Tuesday to Sunday.